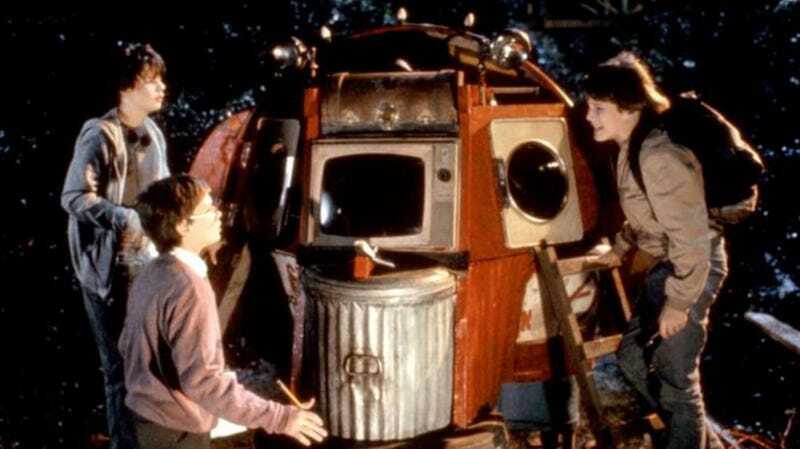 Jason Presson, River Phoenix, and Ethan Hawke star in the 1985 Joe Dante film Explorers. Deadline reports that Cary Fukunaga and David Lowery are teaming up to write a TV pilot script for Explorers, based on the 1985 Joe Dante film. The film was Ethan Hawke’s first movie, and it co-stars River Phoenix a year before his breakout in Stand By Me. They play friends who discover a powerful electromagnetic field, then build a ship and travel to outer space. Think The Monster Squad or Goonies meets Flight of the Navigator, but set among the stars. It’s one of those smaller ‘80s movies you may not have ever gotten around to seeing, but maybe should have thanks to the level of talent involved. It was not a big hit upon release but soon found a cult following thanks to TV airings and VHS. Fukunaga is best known for directing much of the first season of True Detective. He also helped bring It to the big screen, recently created Netflix’s show Maniac, and was just selected to direct the next James Bond movie. Lowery directed Disney’s underrated remake of Pete’s Dragon but also did the incredible film A Ghost Story, among others. According to the Deadline report, the duo “will write the script and bible, and one of them will direct the pilot should it get to that.” The show is being made by Paramount Television. Explorers makes a lot of sense as a TV series. It’s very Stranger Things—it focuses on a group of kids who invent this powerful electromagnetic field, experiment with it, realize it’s capable of incredible things, then build a super cool spaceship to put in the field, enabling them to travel into space. Once in space, they meet aliens and have all kinds of adventures. That’s a first season of a TV show right there. And though Explorers was set in the 1980s, a remake doesn’t necessarily have to. Technology would even make the ideas of the show more accessible. So, whether or not this pilot gets made, and whether or not that pilot makes it way to your TV, hopefully the fact that these two talents are taking time to revisit it will be enough to get you to watch (or re-watch!) Explorers. It’s an awesome movie, even three decades later. An Explorers remake is happening. Hey, remember Explorers?